I have made Pumpkin bread, cinnamon rolls and muffins but I have not tried pumpkin Mantao yet. I made the 1st batch last Sunday night. However I did not let them rise but I shaped and steamed them immediately. The mantao turned out a little small and not as light as it is supposed to be. I tried a 2nd batch and let them rise accordingly and they turned out soft and light. 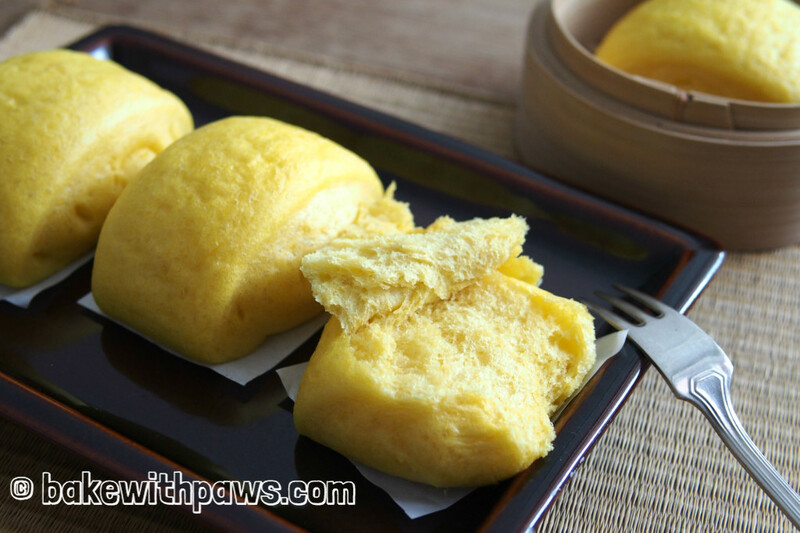 I modified the Mantou recipe I have been using for 15 years. However, I used the method from food-4tots. 1. Mix all ingredients in the bowl of electric stand mixer. Knead the dough until all come together, around 10 minutes with the dough hook attached. 2. Cover the bowl with kitchen towel or cling wrap and let the dough rest for 30 minutes. 3. Lightly dust the working surface with flour. Gently punch down the dough to deflate. Roll out the dough to a rectangle (48 cm X 28 cm). 4. Roll the dough tightly from the longer edge to form a log. Cut out both end and divide the remaining dough into 12 equal portions. 5. Place each bun on a piece of baking parchment paper. 6. 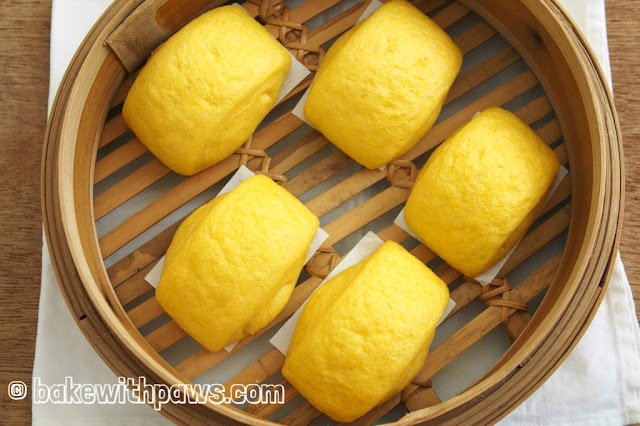 Spread the mantous on the bamboo steamer about 1 inch apart as the dough will rise. Let the mantou rise for another 15 to 20 minutes in semi warm area. 7. 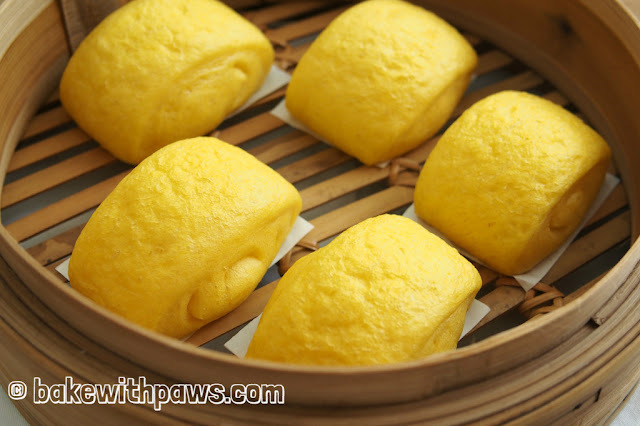 Prepare the steamer and steam for 15 to 20 minutes. 8. Once it’s done, open the cover slightly to release the heat for few minutes. Transfer the bamboo steamer away from the water and let it stand for another few minutes before removing the cover. With this, the mantou will not shrink after cooling down. I normally leave the dough in the same bowl of electric stand mixer after kneading and cover the bowl with kitchen towel for proofing. The oven is an ideal place for rising the dough. TURN On the oven at the lowest setting for one or two minutes, then TURN IT OFF.